After working for the past 3 months at Wild Coffee, Shea is demanding money for missing wages, which her employer is refusing to pay. On February 1st, Wild Coffee was served with a notice to pay back the wages that are owed to one of their former baristas. On February 10th, after no word or response from the employer, members of the Retail Action Network handed out information about the demands to everyone walking by the cafe. That same day, we were told that the employer would pay back part of the stolen wages. On February 12th, the worker went to pick up the wages, but it was refused to them. On February 17th, a complaint through Employment Standards was filed (there is a required 15 day wait from the time the first official notice is delivered to an employer before the complaint could be filed). On February 23rd, the Retail Action Network hosted a “Justice Cafe” in front of Wild Coffee to raise money for the missing wages and shared the news about this wage theft to the public. To date, we have raised $237.25, none of which has come from the employer yet. In June, we finally saw support from the Employment Standards Branch. It took about six months, but we finally had a mediation with Marla, facilitated the Employment Standards Branch. They were conducting an “investigation” into the dispute between Shea and Marla, which doesn’t involve much other than hearing both sides of the story. Through their investigation, they will never find out who else had been paid below minimum wage at Wild Coffee; they will not go back and make sure that everyone gets paid for mandatory staff meetings or any missing hours from paycheques; and they won’t contact past employees to see if they too have been fired without cause or taken off of the schedule without notice. The mediation ended fairly quickly, before any formal hearing. An agreement was made, and Marla is now paying out $453 in missing wages. A victory that took far too long to get to, however, a victory for Shea nonetheless. On December 16th, just before her Christmas holidays, Shea was accused by her employer of taking too long of a break. The owner was yelling at Shea within earshot of customers. By coincidence, two members of the Retail Action Network were at the cafe, and introduced the organization to Shea. After a 10 day holiday, Shea returned on December 29th to discover that she was no longer given any shifts and her most recent pay cheque was not available for her. She tried to message the employer and the management, however, the employer gave no response for over a month. After 4 weeks, Shea was finally given her pay cheque, but still had no scheduled shifts. As it turns out, the final pay cheque was shorted hours. Shea began working at Wild Coffee on September 16th, 2015. 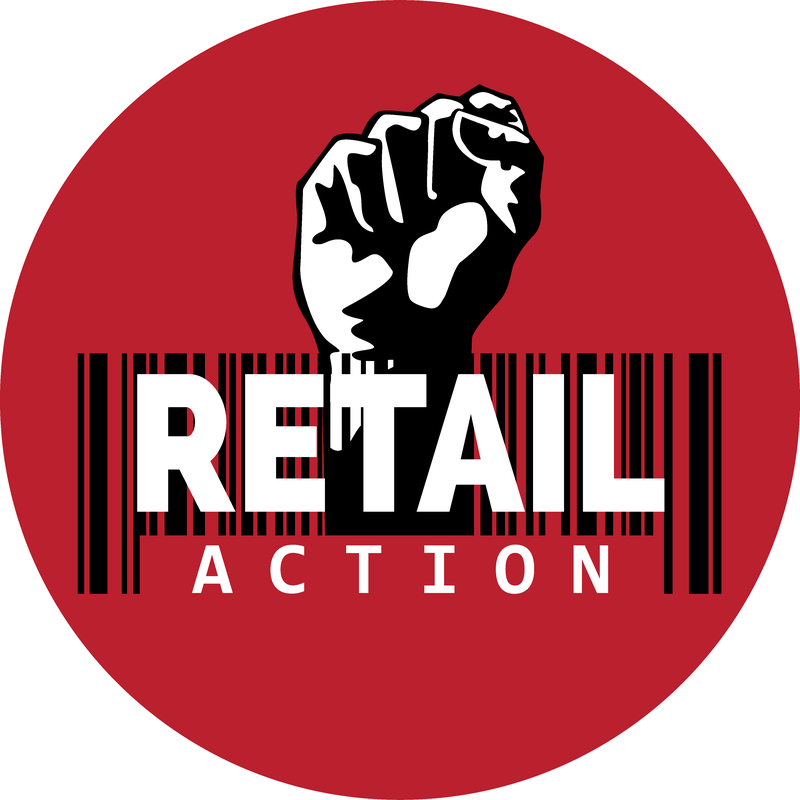 Please email info@RetailAction.ca to stay involved in this campaign. 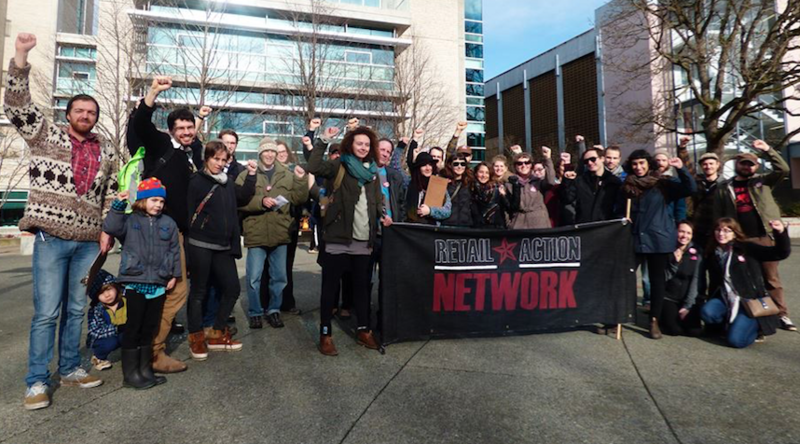 Throughout this campaign and before our first action, Retail Action Network has made repeated attempts to contact the employer. Both times that we’ve been in contact over the phone, they have hung up the phone on us. We have encouraged the employer throughout this process to show any evidence if these claims are miscalulated in any way so that we can reach a common understanding of how much in wages they have in fact stolen from Shea. We are still waiting to receive any formal response. I worked for Marla at Wild coffee for about two weeks in early 2014. I received similar bullying and also had her refused to pay me on pay day. Thankfully that situation got resolved (though I was so happy to be done with her that I never checked if it was accurate, since it was just an envelope with cash) and I didn’t go to the employment standards board. She aggressively yelled at me in the busy cafe in front of customers and accused me of giving bad attitude to one of her other employees over the phone because I said I couldn’t come in early for my closing shift, as I had already worked 8 hours that day at my other job. She then threatened to call the police on me when I asked her to pay me since it was due that day and my last scheduled shift. Thanks for sharing your story Daisy! We will have updates on this campaign coming soon. I’m glad that you were able to get at least some of your pay, good for you for standing up for yourself. I wish we were around back in 2014 to help out then! If she is still employed, I do not believe she gets a severance though. Days, in 2012. On my third day, I was yelled at for mopping wrong, and when I tried to explain my method, I was accused by this employer of being a misogynist, due to my “alleged inability to take orders from a woman.” Not only was I not instructed first-hand by the employer, I felt accused of something not even remotely true. She continued to get mad at me for apparently lieing on my resume and interview, about my experience, when she was not even remotely a part of the hiring proccess. It was done by the manager at the time. I resigned after only my 5th day, because it was apparent she was overly resistant of my success as an employee. I have had many friends work for this woman over the years, and have heard horror stories, and have seen too many tears shed. She is the definition of a workplace bully, and lost wages is far too over the line.